ViZi® is an enterprise reporting and analytics platform that collects and connects data from all your go-to-market activities. Its predictive analytical capabilities provide your business with the foresight to forecast, adjust and course-correct as necessary. With ViZi® you’ll be able to see the return on promotional investments, review underperforming sales territories and misaligned incentives, expose revenue leakages, optimize margins, and more. Create statement layouts using the included designer, and publish the benefits of participation and program performance for rebates, royalties, commissions and other incentives and reimbursements. Get operational reports as well as application embedded, real-time analyses of your proposals and actions on program effectiveness. 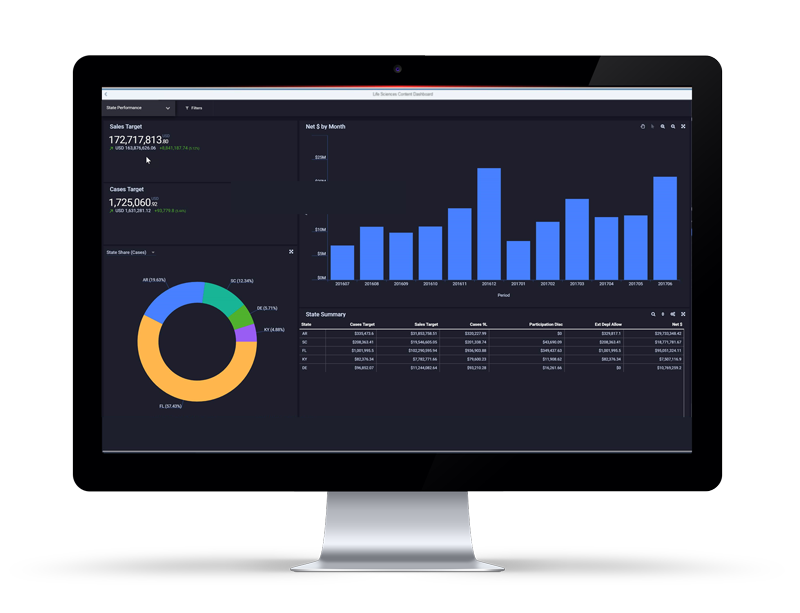 Leverage powerful dashboards with advanced visualizations that offer actionable insights into program participation and performance metrics. Combine statistical analyses, behavior models, performance simulations and advanced machine learning (segmenting customers, predicting lift, optimizing prices, and more) to solve real business problems with true data science.